With our continued efforts in enhancing sustainability in all our projects, we have been looking into early-design daylight and energy analysis. 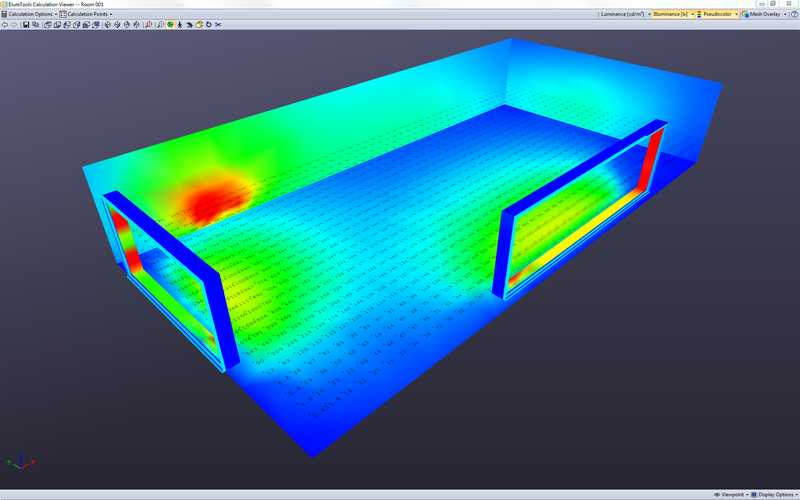 Since LMN loves Revit, we tested 3 energy simulation plug-ins available for Revit: IES-VE, Design Builder and Sefaira. IES and Design Builder are 2 standalone energy simulation software famous among energy modelers and MEP consultants. Sefaira is a new player and started with energy and daylight plug-ins for Sketchup and then launched a Revit plug-in. Although all 3 plug-ins are paid and require a valid license or subscription to perform any analysis, IES-VE works with limited capabilities on a trial version too. (Discussed later). However, both IES and Design Builder plug-ins lose a point to Sefaira because they <as of now> are not compatible with Revit 2015, which is a major let down. All 3 tools, on installation install plug-ins within the REVIT’s add-ins bar. Of the 3, IES and Sefaira can do an “in-Revit” real time analysis which is based on assumptions and generate numbers either for EUI or total energy consumption of the building. Design Builder, however, exports the Revit model to Design Builder giving more control on all the inputs. This is good since we can change some or all input parameters and do more in-depth analysis, but it is bad for anyone who is not aware of the complexities of energy simulations. Plus you lose the ability to quickly compare different options within Revit. IES and Sefaira on the other hand have both options: “in-Revit” quick and basic analysis and a detailed analysis after exporting model to the software (IES) or web (Sefaira), where you can then get more accurate results by changing parameters, adding systems, etc. .
To test each plug-in, we built a simple shoebox model in Revit with simple concrete construction and randomly placed doors & windows. All 3 plug-ins require room tags to be placed in the model which is how they calculate the area and volume of the air to be conditioned. The Design Builder plug-in uses a single button interface to simplify the Revit model and export it to Design Builder through a gbXML file. Clicking the “Export” button will open a dialogue box that lets you select location, construction assemblies, etc. Unfortunately, Design Builder does not read any construction data from Revit and requires you to manually enter it. That means for a unique wall construction assembly, you will have to make it within Design Builder. However, the latest version of DB also has pre-defined templates for AHSRAE which makes life easier to make baseline models. Once everything is set, the checkbox on the lower corner of the window has to be checked to generate a summary report of the areas in the model. This will successfully convert the model to be ready for export to DB. Next, click “Start Design Builder”, and it will take you to the software. All parameters/ input values selected in the last step can also be changed in DB later, so you can relax if you didn’t do that then. For early design phases and novices, the “Early Design – Best Practice” templates work pretty well. 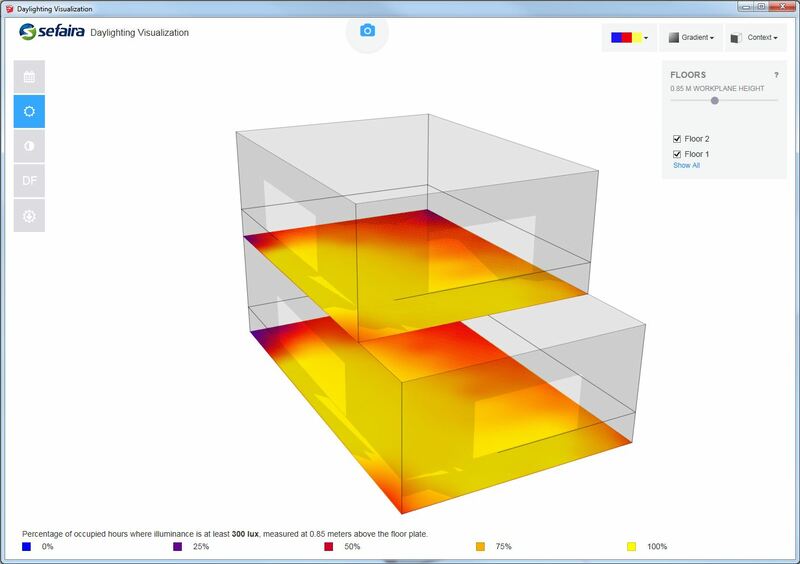 The IES-VE plug-in adds more functionality by allowing energy analysis to be performed without exiting Revit. This means that by clicking just 2 buttons, we can get an estimate of the performance of the building. The workflow is fairly simple. It opens another windows where we can select building type, fuel type and operating hours. Click OK, and IES will simulate your building for 8760 hours of the year. What you get are absolute energy use numbers for the whole building and breakdown by heating, cooling, lights and equipment. IES also calculates the amount of carbon dioxide emitted due to the building operation. These numbers are of course based on certain assumptions. The way to make the numbers more realistic is to export the model to IES –VE and assign everything manually. That, however, will require buying a license which in this case is pretty expensive. If you have one, click on the button “<Virtual Environment> “and it will take you to the software. Another cool feature about IES is the toolkit that gives you interesting and graphically pleasing information pulled out of the weather files along with basic building guidelines. Sefaira has been developed with an integrated design process in mind. The real time analysis feature with the Revit plug-in is great and, similar to IES, detects any change that you do in the model. Make your model, click on the “Sefaira” button and it gives you the option to start real time analysis or upload the model to the web which is the main application of Sefaira. The real time analysis is based on certain assumptions which they have listed on their website and include common sources like ASHRAE. Sefaira assigns its own construction thermal properties to all surfaces thereby ignoring the Revit construction families. Almost everything can be edited using sliders within a limited range. Once uploaded online, Sefaira also lets you make multiple scenarios/baseline models and compare them. The analysis is almost instantaneous and the plug-in generates annual EUI values. It also gives a summary of major fuel breakdown by heating, cooling, lights and equipment similar to IES. Another advantage of Sefaira is that it lets you do a daylight analysis in the same interface. There is a graph at the bottom that tracks how the energy /EUI changed with different design options. This is a good tool to help track how simple changes in design affected performance. Sefaira’s web version is really powerful as it gives lot of options to customize the construction assemblies and assign different assemblies to different facades. Sefaira lets us chose HVAC systems and calculate contribution of renewables, something that is more complicated in IES and DB (especially for novices, but then this is also risky). The web application also lets you do parametric response curve analysis to understand the effect of a range of values (eg. Insulation) on the EUI and CO2 which is cool! However, Sefaira is a black box tool meaning we don’t know what is happening at the back end of every simulation/analysis. This could be particularly risky for novices and could make them fall into the trap of using inaccurate EUI numbers as validation. But then, it is easy to fall in that trap with DB and IES as well with the complicated interface and lots and lots of options. In summary, all 3 plug-ins have got us a step closer to integrate energy analysis early on in the design process. Each plug -in with their own set of pros and cons work with their own capacities and different requirements in skill levels. IES and Sefaira will make it easier to take some very early on design decisions during the SD and DD stages within Revit. Design Builder on the other hand will enable to do some more in-depth analysis without the pain of modelling the building all over again. However, it is probably too soon to pick out the winner from the 3 plug-ins. We will continue to test all the three in different projects and will surely post if and as soon as we have a winner! That’s a great comparative analysis of the various plugin tools. I use IES VE, but I’ve stayed away from the plugin since I prefer to configure the model and import the gbXML separately. Once the Revit model is prepared for a clean integration, it can be used for early simulation. This way of modeling is not only faster and yields predictably better results, but also works with Trace and OpenStudio (I haven’t tested Design Builder yet). I created an online course to teach the precise steps for making this happen on every project, and I’m working on managing BIM throughout the design process for a seamless interaction with energy modeling.